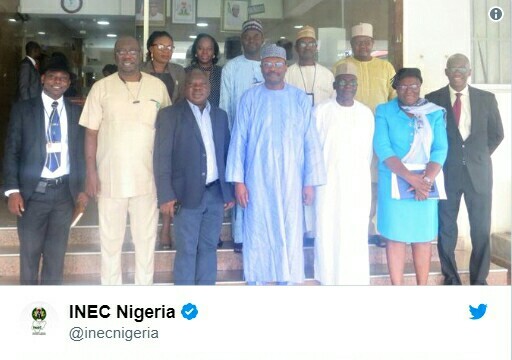 Chairman of the Independent National Electoral Commission (INEC), Prof. Mahmood Yakubu has told members of the re-constituted Election Monitoring and Support Centre (EMSC) Committee to brace up for the important assignment of ensuring the success of the 2019 general elections. He said the work of the committee was vital because of the need to constantly track planning mechanisms and activities put in place for the smooth conduct of the next General Elections. According to Prof Yakubu, who spoke while inaugurating the Committee at the Commission’s headquarters on 4th June, a good election is derived from good planning, while proper monitoring of the plans put in place “will limit the areas of difficulty” during elections. Prof. Yakubu asserted that for the 2019 General Elections to be successful, the Commission also “needs to constantly track all levels of preparations” to ensure that everything goes according to plan.